In 2010 Angel moved in with her grandmother and took a job working at a pizza place in Northeast Baltimore. In 2012 Angel decided to join the Woodstock Job Corps program and spent nine months in the residential program there. 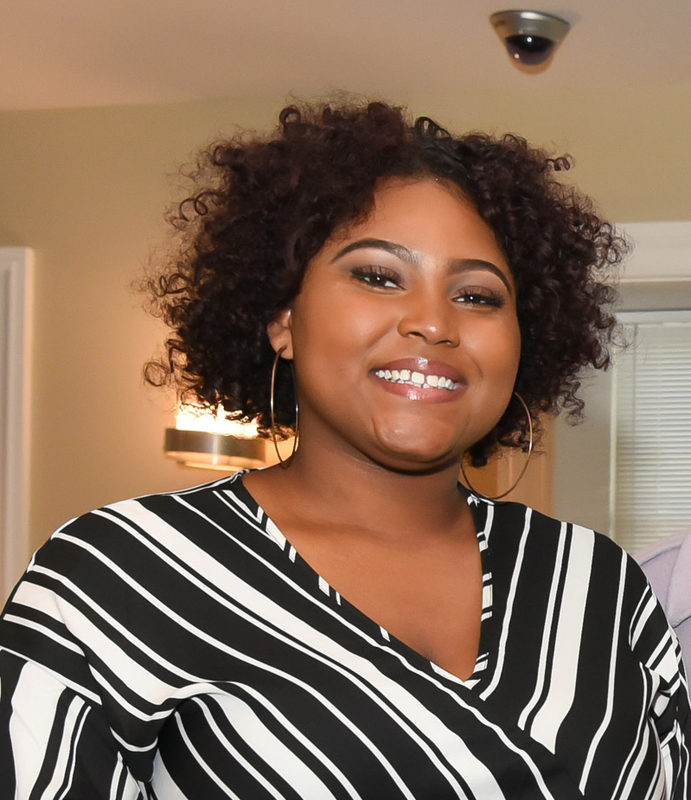 She not only earned her high school diploma, but she also became certified in Office Administration and received a $2,400 stipend spread out over six months after graduating. “Job Corps was a great decision; they had resources that could help me that my family wasn’t able to offer. I achieved a lot in nine months,” Angel shared. In 2014, Angel secured stable housing for her daughter and herself through the Transitional Housing program for single mothers. She participated in training through the Department of Social Services to become a childcare provider. “I still had my eyes on a nursing career when I saw a posting on Facebook about a program called IT Works,” Angel said. IT Works partners with Bon Secours’ Community Works Health Career Training. The program receives funding through the Mayor’s Office of Employment Development to serve youth ages 18 to 24 who are out of school and out of work. IT Works provides instructional classes that lead to industry-recognized credentials in Certified Nursing Assistant and Geriatric Nursing Assistant fields. Bon Secours provides case management, job readiness and life skills training as well as job placement assistance. Through the training, Angel earned her CNA/GNA certifications in February 2017 and was ready to move to the next step toward becoming a nurse. The normal transition would have been to work at a nursing home or an assisted living facility. “I was determined to get a job in a hospital; I did not want to work in a nursing home,” Angel said. “I applied to a bunch of hospitals and was turned down for various reasons. Finally, Mercy Hospital called me in for an interview. They asked me what my availability was, verified that I had the required certifications and then said, ‘Welcome to Mercy.’ I think what impressed them was good eye contact, a strong handshake and my personality.” Angel said. After a six-month probationary period, Angel will be able to apply for a Tech Position at Mercy. This will give her additional training, a $2.00/per hour wage increase and full-time benefits. In the meantime, Angel is taking pre-nursing courses at Baltimore City Community College. In the next five years, Angel wants to receive her Bachelor of Science in Nursing and start working toward a master’s degree. She hopes to continue her career at Mercy Hospital. “And I want to take my kids to Disneyland,” Angel said.